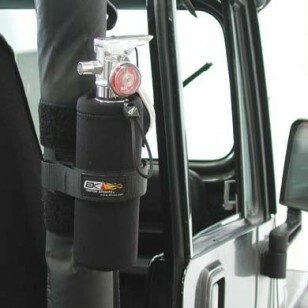 Check out this great idea for mounting your fire extinguisher to your sport bar! 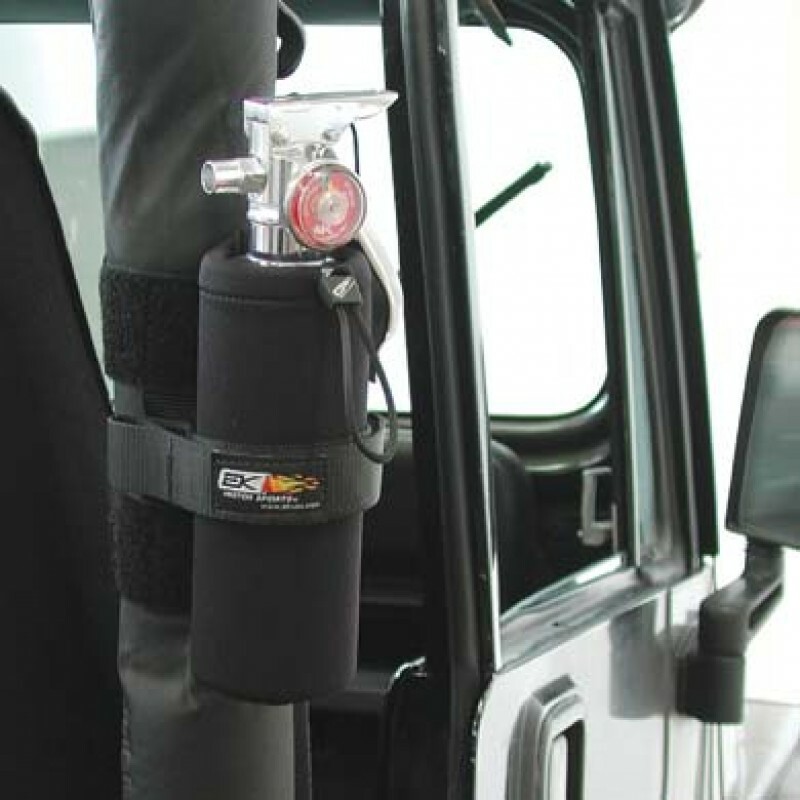 This durable neoprene fire extinguisher holder from EK Motorsports uses reinforced web strapping and a heavy duty hook and loop fastening system to ensure a snug fit. They can also be used as a water bottle holder, too! Available in (RE)Red, and (BLK)Black.